New Direction prides themselves on their self directed IRA specialization. Their clients have many choices for investments, including real estate, precious metals, and a number of other attractive alternative assets. The downside to their excellent service is that their fees do not cover storage of precious metals. The sliding scale fee which increases on accounts over $100,000 is a disadvantage as well. New Direction IRA is ranked #2 on our list of the top precious metals IRA companies of 2019. In the following review, we'll cover the company's history, management, reputation, products/services, and fees. New Direction IRA, Inc. (www.newdirectionira.com) is a leading provider of administrative and custodial services for self-directed precious metals IRAs and other types of retirement accounts. The company has more than a decade of experience in the IRA industry and is based in Louisville, Colorado. The Founders of New Direction IRA are Catherine Wynne and Bill Humphrey. Bill is the CEO and Catherine is the President. The Better Business Bureau has Catherine listed as the Owner and Bill as the Principal. Bill has more than 20 years experience as a Certified Public Account, and obtained his Bachelor of Science in Business from the University of North Carolina. He's since improved his background with a graduate study in Finance, Accounting, and Economics from the University of Colorado in Boulder. Catherine handles customer operations and education, with a background in teaching at the University of Denver Law School. You can learn more about the company's management on their ‘About Us' page. Most importantly, New Direction IRA's annual fee does not cover the cost of storage. Instead, the account holder has to pay the appropriate annual storage fees to their choice of one of 6 IRS-approved depositories, in addition to the fees paid to New Direction IRA. They also charge a sliding scale annual fee that increases from $75 to $125 if the value of the precious metals in your account goes over $100,000. This is in contrast to some other custodians who charge a low flat-rate annual fee that includes the cost of storage. What is an IRA? – Provides a basic overview of IRAs and answers to some basic questions about IRA account types. What is a Self-Directed IRA – Explains the meaning and benefits of a self-directed IRA. Fees – Information regarding New Direction IRA's fees. Most financial advisors recommend allocating about 5%-20% of your retirement portfolio to precious metals. However, this seemingly small portion of your portfolio could actually wind up being the most important, as gold and other precious metals serve as an effective hedge against inflation. Plus, we all know that the value of gold increases as the economy worsens, because that's when investors start to avoid cash-based investments and start looking for ways to protect the value of their savings. Given the strategic importance of a Gold IRA with your overall retirement portfolio, choosing the right Gold IRA company and/or custodian can be a stressful process, especially considering what's at stake. If you're having trouble making a decision, we urge you to start by conducting your own research. We've made it easy for anyone to quickly examine various aspects of each custodian and Gold IRA company with our Top Precious Metals IRA Custodians of 2019 and Top Gold IRA Companies of 2019 comparison charts. If you're an owner, associate, or representative of New Direction IRA and you've noticed any information within this review that is misleading, incorrect, or outdated, please do bring it to our attention. We strive to provide the most accurate and useful reviews continually, and will therefore honor any revision or removal requests that are in line with that goal. Annual cost and fee structure – are their fees flat-rate or sliding scale? Depository used and additional annual cost of storage (if any) – is the storage included in the annual fee? Regal Assets often waives the first year's setup and annual account fees when you open an account worth $10,000 or more. Furthermore, they'll even cover up to the first three years' fees, depending on the value of your account. Once your account passes the waived period and you start incurring an annual fee, you won't have to worry about the fee increasing after that – it stays the same regardless of your account value. They have the best online reputation and industry presence out of any of the other top bullion dealers and Gold IRA companies. Regal Assets has maintained the highest-possible ratings with the Better Business Bureau, Business Consumer Alliance, Trustlink, Yelp, The Yellow Pages, and Google+. As a bullion dealer, Regal Assets makes it easy to open your account and buy the appropriate approved bullion products in one streamlined process. They won't ever try to sell you numismatics or other coins or bars that aren't even eligible to be deposited into an IRA. Investors have the freedom to invest as little $5,000 initially if they'd like. This is in contrast to some other companies that require minimum investments of $10,000 or more. Regal Assets lets you choose to have your gold stored in an offshore depository in locations like London or Singapore (which may currently be the safest place to store IRA gold in the world). Regal Assets will readily buy back any precious metals you've purchased from them at a fair price and can have the funds back into your account with 24 hours on any given business day. This guaranteed buyback scheme gives investors reduced risk and increased peace of mind. Extraordinary industry reputation highlighted by appearances in Forbes, Smart Money, MarketWatch, and Inc Magazine. Last year Inc Magazine even ranked Regal Assets as the #20 financial services provider in the U.S. on their famous top 500 list. Going through Regal Assets is by far the most educational way to invest in a precious metals IRA; Regal Assets provides the most comprehensive investor's information kit in the industry absolutely free of charge to anyone who is interested. 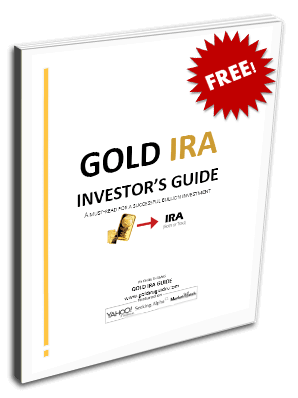 This informational packet includes DVDs, step-by-step guides, and all of the information anyone would need to get started with a Gold IRA. If you'd like to learn more about the advantages of opening an Equity Institutional precious metals IRA through Regal Assets, see the full review of Regal Assets. You can also access Regal Assets' highly informative investor's education kit that teaches you everything you need to know about investing in a Gold IRA by filling out the simple form below. Choices are many and varied, ranging from real estate to precious metals to other alternative assets. Their proprietary online account access interface myDirection is powerful and convenient to use. They offer six different IRA depositories from which clients can choose freely. The considerable IRA fees do not include the cost of precious metals storage. Sliding scale fees mean that as account value increases, fees go up as well.